Now that you have understood what side effects sleep apnea could lead to, you are probably wondering how you can get it tested. The general term for a sleep test is also known as a “Polysomnography Test”, or in short term, a PSG study. These test, or studies, uses many different parameters as a diagnostic tool for sleep apnea. They are conducted overnight, and generally, one nights’ worth of data will be enough to determine if you are diagnosed positive for sleep apnea or not. There are actually many different ways to get tested for sleep apnea on the market, so which one is better? How and why are they different? Are there any preparations we need to be aware of? This is the simplest of all sleep studies, and it only uses 2 parameters to determine if you have sleep apnea. This type of test kit could be picked up from any good pharmacy or chemist (make sure you call and make an appointment first!). Who is best suited for this kind of study? Patients who suspect they are MOST LIKELY positive for sleep apnea, or have very obvious signs and symptoms such as constant daytime sleepiness and snoring could benefit from this study. This test is also better for candidates with a Body Mass Index (BMI) of more than 25. This test kit usually comprise of a small machine that straps onto your wrist, with a clip that’s going to be attached to one of your fingers. It monitors for a drop in blood oxygen level, and a rise in heart rate during the night. It is not the most accurate test kit available for patients who have mild symptoms of sleep apnea. ​Able to eat, drink, and brush teeth while wearing the device. ​Able to get up and use bathroom at night with ease. There really is not a lot you have to be aware of before commencing this study. You will be given a pre-sleep questionnaire to complete. Remember to sleep enough so there is sufficient data to generate a report. Remove all nail polishes, and do not over indulge in alcohol before doing this test. Stick to your normal sleep/ wake time as close as possible. After waking up in the morning, remove the device and return it to the chemist for analysis. The turnaround time for this test is generally 8-10 days. We will talk about interpreting test reports in the next article. - These electrodes are usually situated on the lateral corner of your eyes, the centre of your forehead, and on the bony structure behind your ear. They are used to see what stage of sleep you are in. This study is usually recommended for people who are able to follow simple instructions at home. This is also suitable for all patients who suspect they may have sleep apnea. ​Able to get up and use bathroom at night, although not as easy as the simple oximeter home sleep test. This study requires you to attach all the gadgets onto yourself. Prior to setting up the sleep study kit, complete the pre-sleep questionnaire provided for you. I would highly recommend you start attaching the sleep kit 30 minutes before bedtime. An instruction card in words and pictures will be provided. The whole set up generally takes about 15 minutes to put on, but make sure you give yourself some time to relax so you are nice and comfortable before heading to bed, it’s not a bad idea to put the machine on first, then relax and watch TV/ read before bed. Remember to remove all nail polish and stick to your normal sleep/wake up time. Return the sleep study kit the next morning for analysis. Generating reports for these kind of studies are generally longer, about 2 weeks turnover time. This is the most extensive sleep test one can pick from. The chances of this sleep study failing is pretty much close to zero, unless the patient have troubles falling asleep. In this sleep study, you will be admitted into the hospital for one night, a sleep technician will be working with you to ensure all signals and electrodes are in the correct position. During the night, an infrared night vision camera will also be used to monitor your sleeping patterns. - Electroencephalography (EEG)/ Electrooculography (EOG) -Measures brain waves and eye movements. In this study, there will be 2 pairs of each electrode. - Respiratory Belts– Measures breathing movements, one on the upper chest, one on the level of your belly button. - Electromyography (EMG) – Electrodes placed at your jaw muscles to detect for teeth clenching and grinding. - LegEMG – Similar to the electrodes placed at your jaw muscles, except these are placed on your leg muscles to detect for restless leg/muscle twitch. This study is suited for everybody suspected with sleep apnea, it is extremely accurate and especially good for people who require additional assistance in the middle of the night such as bathroom breaks, it is also good for the elderly who are unable to conduct home sleep studies themselves. ​The sleep technician will ensure all the leads are in the correct position and recording correctly, giving you peace of mind. If any electrodes detaches at night, the sleep technician will come in and fix it for you. Someone will be watching you during the night, you may feel uneasy. You will need to be assisted if you require a bathroom break. Prior to arriving at the hospital, have dinner and make sure all nail polish are removed. Remember to bring pyjamas, toothbrush, shampoo, soap, and all your amenities required for cleaning up the next morning. Most hospitals will provide you with your own private room and a bathroom attached to it, towels and water are usually provided too. Admission time is usually around 8-9pm. After settling in your room, you will be greeted by a nurse, who will double confirm your details and the reason you are admitted into hospital. The nurse will also take clinical observations such as blood pressure and body temperature. After the nurse has completed all the administrative tasks, they will pass you onto the sleep technician. From here on, you will be under the care of the sleep technician until the morning. The sleep technician will introduce themselves to you, you will then be asked to complete a pre-sleep questionnaire, after completion of the questionnaire, brush your teeth and then change into your pyjamas, you are welcome to relax on the bed, read (if you brought a book), or watch TV while the sleep technician prepares their equipment. After a while, the sleep technician will enter your room and proceed to attach all the electrodes for you. This will take approximately 45min-1 hours. You will be seated on a chair, you are definitely welcome to read a book, watch TV, or just have a casual chat with the sleep technician while he/she is hooking you up. 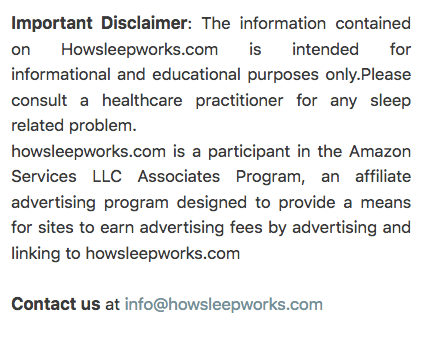 A well-experienced sleep technician will not be disturbed and they do not mind at all. After the sleep technician is done hooking you up, he or she will move you into bed and work with you to complete some final calibrations to make sure all the signals are recording properly. You may be asked to do some simple exercises such as blinking a couple of times, roll your eyes to the left and right, do a few breathing exercises, and flexing your foot a few times. Bedtime will approximately be 10pm, you are allowed to watch TV or read before sleeping, and there should be a light switch within arms’ reach for when you are ready to sleep. I would highly recommend you using the bathroom prior to the hook up, but if you need the bathroom in the middle of the night, you will need to be unhooked from the machine with the assistance of the sleep technician. If you require the bathroom, simply click on the bell provided or raise your arm to gain attention. During the night, if any electrodes fall off, the sleep technician will enter the room. They will attempt to fix it without waking you up, feel free to ignore them if you are accidentally disturbed/ woken up. Wake up time is usually 6am-6:30am, the sleep technician will take about 20 minutes to unhook all the electrodes. You are then asked to complete a post sleep questionnaire. Breakfast may be provided, and you will have an option to stay and shower or go straight home. Your report should be ready in approximately 2 weeks time for a review with your doctor. This study is very similar to the previous in-lab study we talked about, and this study is usually offered to people who are already diagnosed positive to sleep apnea, and are wanting to use a CPAP (Continuous Positive Airway Pressure) machine (we will discuss about CPAP in the next few articles). The purpose of this study is to help find out the settings needed to treat sleep apnea. All the parameters recorded will be exactly the same as the In-Lab PSG Study. The only difference is you will lose the nasal cannula and oral thermistor, in exchange for a CPAP mask. The sleep therapist will help you try on a few masks to ensure you are fitted with the most comfortable one for you. During the night, the sleep therapist will remotely adjust the amount of CPAP pressure needed to eliminate all apnea events. By the end of this study, the sleep technician would have found out the perfect and most suitable pressure in order to alleviate your apnea events. Do I NEED a sleep study to start sleep apnea treatment? Technically, no, especially if you have severe symptoms of sleep apnea. However, I would definitely do a sleep study first to confirm my suspicions, also for a peace of mind. I wear a mouthguard for teeth grinding, do I wear it during the test night? If you usually wear a mouthguard, wear it during the test. I have seen cases where people mentioned they do not snore as much with the mouthguard on, wearing the mouthguard while doing the test will tell us how severe your apneas are while you have it, and if addition treatment is required. I have medications, should I stop taking them? You can take all your medications as normal. You can sleep any way you like during the night, just keep in mind the electrodes may fall off if it’s a home sleep test. I’m doing a home sleep test, what happens if the leads fall off? If you realise any of the electrodes have fallen off, do not panic, just put them back on as best as you can. Losing signals for 20-30 minutes (sometimes up to an hour) will not be a big issue at all, however, it’s best to have it attached in the correct position for the bulk of the night. How much data will we need? Technically we only need about 4 hours worth of data, this will give us about 2 cycles of sleep and is generally enough to produce a fairly accurate report. However, the more you sleep, the more data we get, and the report will be more accurate for you. I have the flu and a blocked nose. Can I continue on doing the sleep study? It is best to postpone a sleep test in this case, as a blocked nasal passage may cause additional discomfort. It is best if we could get a more accurate clinical picture.